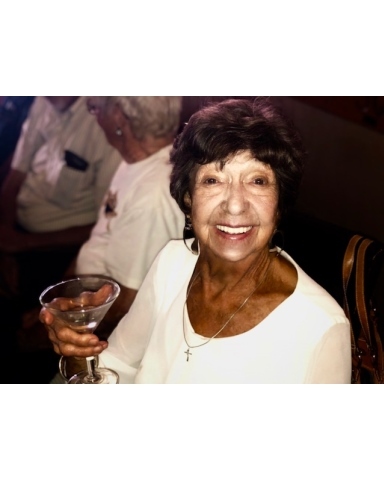 Dolores Cota Emerick of Williams passed away November 5, 2018, at home with family and loved ones by her side. Dolores was a Colusa County resident for 61 years, born in Inglewood, CA on April 4, 1931, to her loving parents William and Frances Cota. Dolores was a beloved part of the community of Williams. Her door was always open and she welcomed all with a bright smile and an offer of never-ending food and drink. She also cherished time spent at Louis’ with the girls where they all committed to having “just one,” which was one commitment they rarely held to. She was also an active member of the Williams Parkside United Methodist Church and took pride in participating in Eastern Star and Daughters of the American Revolution. Dolores is survived by her son, Edward W. Emerick of Williams, daughter, Pami Emerick of Alameda, nephew Tom Cota, niece Robyn Cota Cann, grandchildren, Edward R. Emerick, Megan Chambers, Mallory Emerick, Alex Kladjian, Geoff MacPherson, Dylan MacPherson, Dylan Cann, and Sandra MacPherson and great-grandson Grayson MacPherson. She was preceded in death by her loving husband of 50 years, Edward P. Emerick, daughter, Connie Maria Emerick, and brother William Dale Cota. Memorial services are scheduled for 11:00 am December 1st at the Parkside United Methodist Church, 936 G Street, Williams, CA 95987 followed by a reception at the Williams Community Center, 860 C Street, Williams.